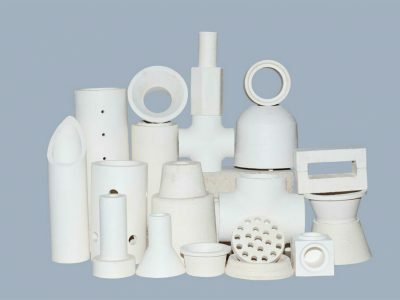 FKE Ceramic Tubes, manufactured from specially formulated ceramic bodies, are white and free of iron sulfide. 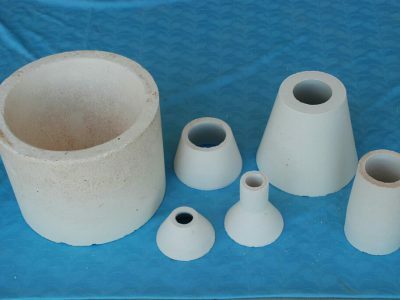 Compositions are available for special applications and tubes can be manufactured from pure mullite, fireclay or fused silica. Any fractional length or tubes longer than 12″(304mm) can be produced upon request. FKE tubes are non-eroding, and assure a smooth slag-free passage of metal to mould cavity without contamination or reaction with metal. Ends are precision-made for a sure fit. 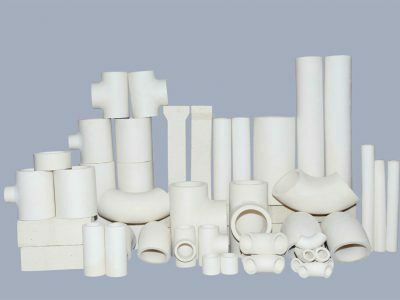 FKE Ceramic Tubes are available in a wide range of sizes: standard plain end, mitered and male-female ends. We also offer bent, curved, notched and reducer tubes. Samples are available on request.